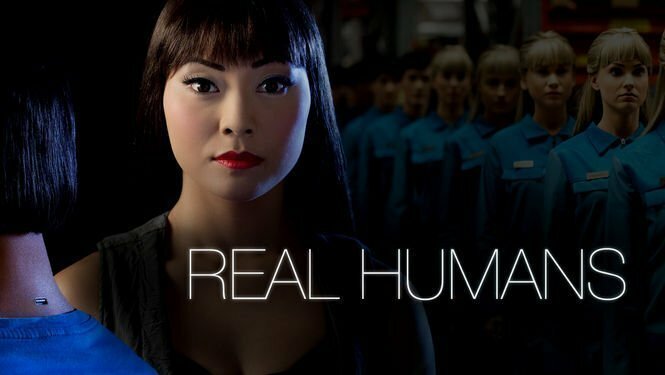 Äkta människor (English title: Real Humans) is a 2012 Swedish science fiction/drama series set in an alternate version of modern-day Sweden where humanoid robot workers and servants are widespread. 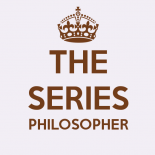 The series follows the resulting emotional effects on two families as well as the trials of a group of robots who have attained free will and want their freedom from human ownership. It premiered on SVT 1 on 22 January 2012. The series was written by Lars Lundström and directed by Harald Hamrell and Levan Akin. The story takes place in Sweden present time in a parallel universe, where the use of consumer-level androids is becoming more prevalent. The androids, known as hubots, are used as servants, workers, and company. While some people embrace this new technology, others are frightened by what can happen when humans are replaced as workers, company, parents, and even lovers. A moderate political movement against the spread of hubots calls itself “real humans”, with some members using the derogatory term “Pacmans” to refer to hubots. Though they are designed to look like humans in every way, hubots are usually easy to recognise as they have bright flawless skin, glossy hair and unnaturally bright (usually blue) eyes. All Hubots also have a USB-like port in the back of their neck which is used for programming and data. The button to activate or de-power a hubot is located under the left armpit, as is a cord for recharging purposes. Hubots require only electricity to survive and must recharge regularly, during which they enter a sleep-like state. Their skin feels similar to human skin and is kept at body temperature but beneath the skin, they have metal components and contain a blue fluid/lubricant. Hubots are designed to be docile and obedient and are programmed with a set of rules called “Asimov” protocols that prevent them harming humans. However, some hubots have been modified beyond the legal protocols to make them better lovers or as bodyguards. Such practises are illegal in Sweden and those who modify the programming of the hubots are known as “home-brewers”. A small, low-funded branch of the police is set up to investigate hubot related crimes, known as E-HURB. Hubot-human sexual activity is taboo but not uncommon and many hubots are programmed for limited sexual activity. Those who pursue sexual relationships with hubots are derisively called “Hubbies”. Further to this, some hubots (those reprogrammed by David Eischer) seem have started to develop feelings, desires and their own goals as their programming has allowed them to develop free will and independence from humans. However, they are still often naive and unworldly and sometimes fail to understand the nuances of complex human behaviour.